Bonjour! 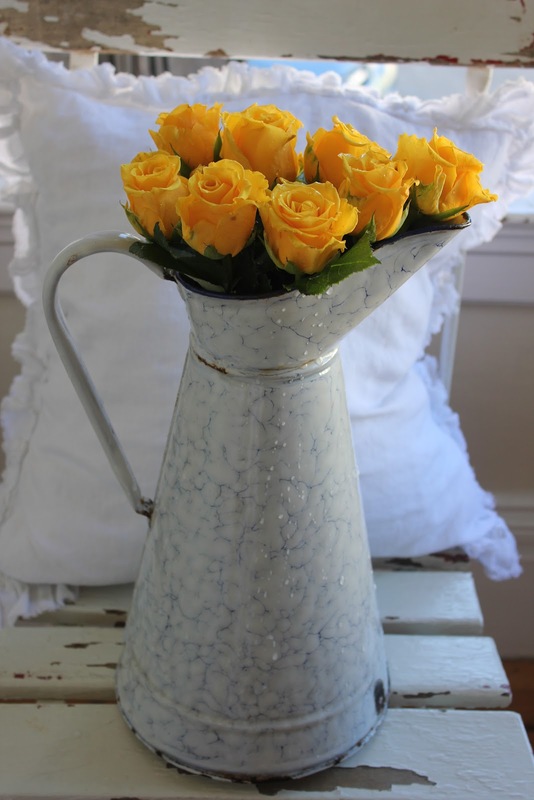 I am enamored of antique enamelware. I am especially fond of body pitchers and canister sets. This particular style or pattern is called chicken wire or som, standing for snow on the mountain. I love the texture which you can sort of see on the pitcher below. This photo was taken in the Presidio, about three blocks from where we live. You can see Alcatraz in the background. The canister set is available in my Etsy store. I don't usually buy yellow flowers. However, I loved the way the petals have a bit of green on them. What an amazing sight to see that off in the distance! Great idea to use those canisters for herbs too. Love all of it. Michele!!!! That is your VIEW???? Gulp. Wow. That's amazing. Stunning, even. 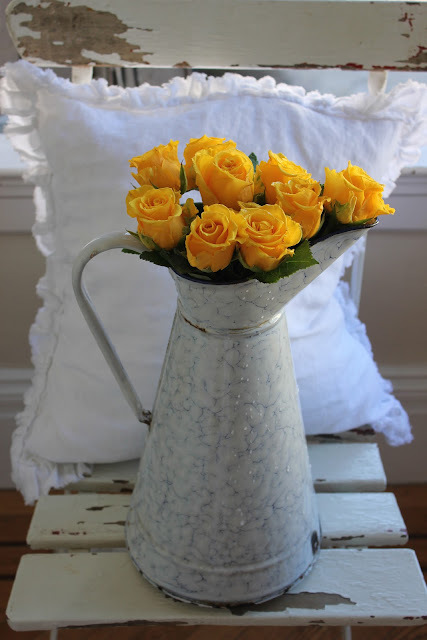 lovely photos Michele, the yellow flowers are so cheery...and the canisters are beautiful.. I will check out your store. 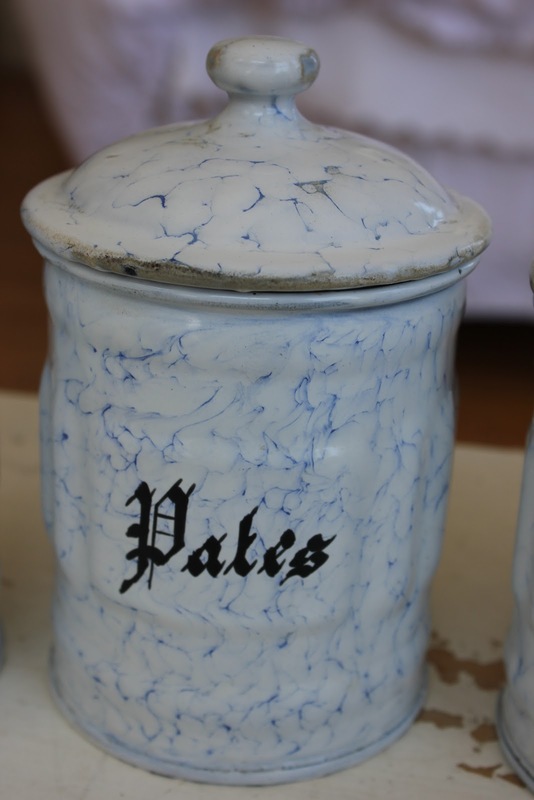 Michelle, is the name of the pattern that you were referring to of the enamelware???? I was trying to figure out how it tied in to 'snow on the mountain.' I thought I missed something. If you plant herbs in those pots, is there any drainage? I love them! I often travel to France and have seen some like yours, beautiful! What a lovely blog you have.. 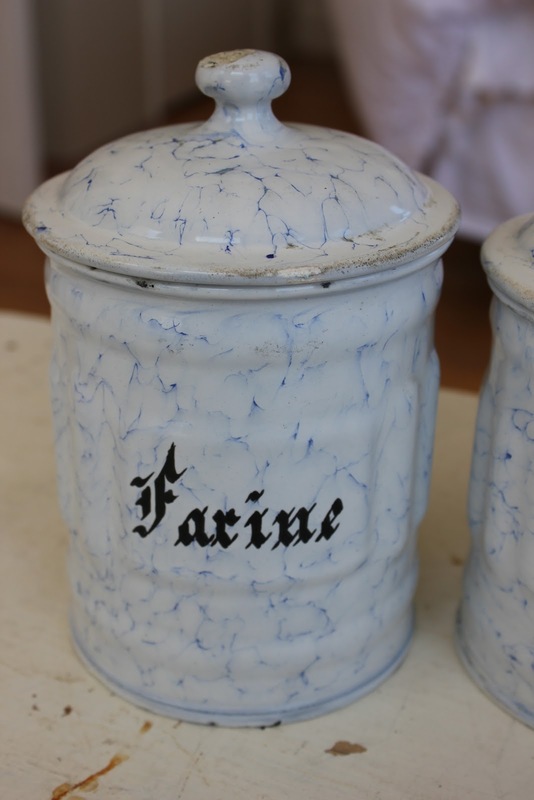 I love enamelware! And anything with herbs...well, that's pretty much perfect!